Our curricular independence creates results! We are free to be the BEST we can be! As a single-building, independent school district, we are free from curricular mandates found in larger school systems. Our proven educational approach is bolstered by a Paris Board of Education committed to putting cutting-edge learning materials and classroom technology in the hands of our teachers. At Paris School, K-8 instruction is our passion and our specialty. And we know that literacy and STEM fundamentals are at the heart of educational success. Our core curricular selections, teaching strategies, assessment tools, and wrap-around supplemental programming is designed with OUR students in mind and creates kids who are confident in the classroom and beyond! Our Houghton, Mifflin, and Harcourt Journeys K-5 reading curriculum is a top choice for educators across the nation. Featuring “results-driven instruction, digital tools, and rigorous instructional design”, the Journeys approach is an exceptional fit with Paris School’s commitment to building strong readers across the curriculum. The mastery-based Houghton Mifflin Harcourt Math Expressions curriculum focuses on the way children learn best: through understanding, not memorization. Paris School Kindergarten through 5th graders benefit from lessons that integrate mathematical process and practices with use of authentic examples that help bring numbers to life. When students make sense of math by exploring, discussing, and demonstrating their understanding of key concepts, they become more confident learners–in math class and beyond! Paris School elementary and intermediate students science and social studies instruction originates from our comprehensive Journeys reading curriculum. These lessons, coupled with Scholastic News and Current Events leveled educational materials, meet monthly standards for science, citizenship, government, history, and current events education. Project Lead the Way is the national’s leading Science, Technology, Math, and Engineering (STEM) solution. This empowering model engages students in cross-disciplinary activities that promote a design-thinking mindset. Compelling and diverse LAUNCH lessons build essential problem-solving skills, equipping Paris School intermediate students with the confidence required to tackle any challenge! Our literature-based English & Language Arts (ELA) instruction features Elements of Literature supplementation to provide Paris School students with an engaging approach to this subject. During ninety-minute ELA learning blocks, students delve into classic fiction and non-fiction novels throughout the school year. Corresponding ELA lessons including spelling, grammar, writing practicum, and literary concepts are woven into text exploration and prepare our learners for lifelong reading and writing success. Ninety-minute learning blocks coupled with Big Ideas Math curriculum and responsive differentiated instruction guide Paris middle schoolers easily through our math programming, preparing them for the rigors of High School study. Through ongoing skills-based and grade-level assessments, we identify learning strengths and harness student math potential. High School-level algebra instruction is also offered for Paris School eighth grader who qualify. Paris School 6th, 7th, and 8th graders explore world and United States history through chronological study with supporting texts from Harcourt and Holt McDougal. Middle school begins with study of ancient history and world geography, progresses in 7th grade to early U.S. history including the Revolutionary War and Civil War, and leads our 8th graders from the Reconstruction through World War II. Paris School 6th-8th graders delve into STEM exploration through PLTW’s GATEWAY programming. This journey of open-ended problem solving, collaboration, and critical thinking creates “aha! 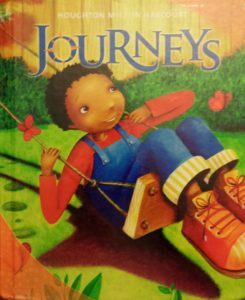 moments” and inspires deep comprehension, inspiring our students to contemplate possibilities–in the classroom, in their world, and in their futures! 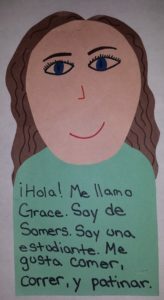 Paris School students begin Spanish instruction in 6th grade. Our programming leads middle school learners through foreign language and culture exploration and prepares them for high school study. In eighth grade, students may elect to take a placement exam to waive Westosha Central High School Spanish I.